The word compromise can be seen as positive (‘a great British compromise’) or negative (‘a compromising text’). There has been much comment on how the various sides in the big issue currently affecting our country don’t seem able or willing to compromise. Our nation, our Parliament and even our political parties, are divided down the middle. Would compromise be a good thing, and is compromise even possible when views are so entrenched, and when each side dismisses the other as Brextremists or Remoaners? I don’t know. But it made me think about whether compromise is something God ever does. The answer depends on your definition, but normally compromise is about making concessions in order to reach agreement – so both sides accept an outcome which is not their preferred position, but which they recognise to be better than ‘no deal’. Compromise is not a word we find in the Bible, but is it what God in practice sometimes does? Take for example God’s great act of salvation through Jesus – his birth as a baby, his death as a criminal, his ascension as Lord. Was that a giant compromise on the part of God? From God’s point of view, the ideal scenario would have been for humanity not to have collectively eaten the apple in the first place, not to have rebelled and broken the relationship God had planned for us. But that option was no longer on the table. The no-deal scenario would have involved the current mess continuing for eternity – us being given over indefinitely to the choices we have made, with no prospect of reconciliation. God’s solution was to become, in the person of Jesus Christ, a human and to take upon himself our broken-ness and the just consequences of our rebellion. The trouble with the word compromise is that it suggests letting go of our principles – agreeing to something we know is not quite right. It’s a little too pragmatic. It’s a little too easy a path for God to take. Another problem is that it tends to suggest an agreement between two fairly evenly-matched parties. But real and personal though evil is, we should not place either it or ourselves on a level with God. So compromise won’t really do to describe what we celebrate at Christmas. Sacrifice would be a better word. God does not compromise his principles (especially his love and his justice) but he does sacrifice himself. He becomes human and then becomes obedient to death, even death on a cross. Let us thank God that he does not compromise, but that he does sacrifice. Let us worship him for the kind of God he is. A God whose commitment to love and justice means that he could not look the other way, but came, and at huge cost to himself, resolved the issue. In our relationships with one another, let us have the same mind-set as Christ Jesus. Perhaps this Christmas you will be expected to spend more time than you would like with people who have upset you in the past or who don’t share your values. What does sacrifice without compromise look like for you? Let us pray for our nation and those who lead it – that collectively we will be willing to sacrifice our own politics, preferences and pride. But that we will not compromise on those principles which we find revealed in the character of God himself. Last week’s announcement that Soul Survivor will close in 2019 took me by surprise. The festival has been a blessing to many people – including members of our own family and church. So the news was surprising mainly because Soul Survivor is so successful – why would you want to stop doing something which is going well? The answer from their leadership was simple: this is what we believe God is telling us to do. In most contexts, and sometimes even in church, success (usually measured by amounts of income or numbers of participants) is seen as a sign that things should continue. After all, however big we are, there’s always the opportunity to turn ourselves into a truly global brand! How refreshing for Soul Survivor to show us a different way, to follow the example of John the Baptist who realised that his ministry was not about himself, but about Jesus – who in turn rejected worldly success for the path to the cross. What a challenge to all of us to slay the counterfeit god of success in our lives and ministries – recognising the warnings in God’s word that success often leads to complacency and pride, and draws us away from God (e.g. Deuteronomy 8:10-18). So if we need to be careful not to be seduced by success, how might we handle failure? What about the many people who throw their lives into faithful service over years and even decades – simply because they believe it is what God has called them to do – and yet they see little or no signs of success? Don’t mishear me: success can be good and failure can be a sign that we need to change tack. After all, our God is a God of victory. But the point is that our perspectives of success and failure are not necessarily God’s. Our job is to listen to him (not to ourselves) and to be faithful to him (not to other people's expectations). Is your life a triumph or a disaster? Actually, it's probably better not to ask that question. Treat those two imposters just the same, and recognise that the only assessment that matters is God’s. Firstly, I think it is great that Bishop Michael has got people talking. The words 'sermon' and 'preaching' have quite negative connotations in popular thinking, but he showed a worldwide audience that preaching can be engaging, passionate and exciting. If that does something to alter people's perceptions of preaching specifically and church generally, then we owe Bishop Michael a debt of gratitude. Secondly, the sermon was a masterclass in effective communication. I have a suspicion that it was a lot more carefully scripted than he made it look - but that in itself takes a great deal of skill. For example, consider the sentence 'There's a certain sense in which when you are loved, and you know it, when someone cares for you, and you know it, when you love and you show it - it actually feels right'. It's one of several places where he used the ancient rhetorical device of a triplet, but he also varied the third point (know it ... know it ... show it) and, to cap it all, the words rhyme. And of course he also made very effective use of eye contact and non-verbal communication. In fact, if you just read the sermon it can sound a bit flat and repetitive, but when you watch it, then it really comes alive. To be honest, I think he did go on slightly too long, and possibly started to lose people towards the end in the bit about 'fire'. Which brings me to my third point (you see, I can do it too! ): content. This is where opinion has been more divided among Christians - was Bishop Michael preaching the Gospel, or wasn't he? I would say that, within the limitations of the occasion, he made a pretty good job of proclaiming God's good news. He preached that God is love and that you can't have love without God. And he told us that the ultimate expression of love was when Jesus "died to save us all". Yes, there are some important things which he didn't say - but rather than arguing over whether or not he should have included them, let's make sure that when we have opportunities to talk to people about 'that sermon', we are ready to bring those things into the conversation. What do we do when we fail to live up to the standard of love which Bishop Michael so inspirationally described? We all know that, while love is a noble goal, it's something that as humans we seem unable to attain. The truly good news is that in Jesus Christ we not only find an example of love, but forgiveness for all those times when we fail to love as we know we should. How do we become more loving people? Not ultimately through listening to stirring sermons or through resolving to do better, but through the work of God the Holy Spirit within us, who empowers God's children to love more like Jesus did. Understandably, Bishop Michael did not go that far on Saturday - but let's pick up his baton and talk to people about Jesus with renewed clarity and passion. In Exodus 40, we read that Moses finished the work (v.33). We have reached the end - hurray! But if we stand back and survey God's great salvation story, we see that Exodus 40 is only the end in a very provisional sense. A more significant ending would take place centuries later at Easter, when, knowing that everything had now been finished ... Jesus said 'It is finished' (John 19:28,30). The problem of sin, recognised in the construction of the Tabernacle, is now finally dealt with. How do we know this to be true? On Easter Sunday, Jesus rose from the dead. Hallelujah! The things that began to happen after that were so great and beautiful that I cannot write them. For us this is the end of our Exodus story. But, for the people of God, this is only the beginning of the real story. All our life in this world and all our ancestors' adventures of faith have only been the cover and the title page: now we look forward to beginning Chapter One of the Great Story which no one on earth has read: which goes on for ever: in which every chapter is better than the one before. Questions to ponder: How will you live out your part in God's great story? What is the main thing you have learned this Easter which will help you on your continuing journey of faith? I'm sure that everyone who is following these blog posts has been faithfully reading the Bible passages they refer to - but just in case you haven't, I'll point out that there is quite a lot of repetition in the closing chapters of Exodus. In chapters 25-31, God provided instructions for the making of the Tabernacle and the things which are to go in it, and then (following the account of the golden calf and the renewal of the covenant) chapters 35-39 record how the people duly followed the instructions God has given for making the Tabernacle - using language which is very similar (although in a different order) to that of chapters 25-31. The Israelites had done all the work just as the LORD had commanded Moses. Moses inspected the work and saw that they had done it just as the LORD had commanded. So Moses blessed them. There is normally more than one way of doing things. And often God is happy to allow us to choose how to go about things. But sometimes there is only one way which is God's way, and if we go about things any other way it will only lead to disaster (see Proverbs 14:12, 16:25). There was more than one way in which Jesus could have ended his life on earth. For example, he could have called on thousands of angels to come and rescue him from the human authorities (Matthew 23:53). But instead, he made a conscious decision to do things God's way (Matthew 23:39,42). As a result, on this day of the year we remember that Jesus was truly dead and buried - simply because he chose to do things God's way. What did it cost Jesus to do things God's way? What would you like to say to him about that today? Are there any areas in your life where you have chosen to do things your way instead of God's way? If so, is it time to turn round? In the ancient world, the best sort of mirrors available were made from polished bronze, and they were highly prized even though (by modern standards) they only provided a dim reflection. We read in v.8 that one group of women donated their mirrors in order to make the bronze basin in the Tabernacle. This sacrifice is singled out: all the other gifts of precious metals are referred to in vv.24-31, with no mention of who gave what. I wonder whether God was particularly pleased with the way those women chose to give their mirrors. And I wonder how the women felt in the years that followed as they saw the basin being used by the priests. It must have cost them something which was more than financial. Perhaps for those women it symbolised that they were no longer going to worry about their own glory - their priority was now the glory of God. What is the most valuable thing you have? What is the most valuable thing God had? How valuable are you to God? How valuable is God to you? In the most special part of the Tabernacle would be placed the most special object of all - the ark. The ark was a gold box which held the two stone tablets on which the covenant laws had been written - so it is sometimes known as the ark of the covenant. This was the place where the meeting or heaven and earth was symbolised. The word used for the lid of the box is not used in any other way in the Old Testament, and so experts debate how to translate it. It is linked to the word for atonement, and so the NIV says 'atonement cover', while older translations say 'mercy seat'. Once a year, on the day of atonement, the high priest would sprinkle blood on this cover, as a sin offering for the people (see Leviticus 16). Why did Jesus have to die? What did his death mean? Those are huge questions - but Paul is telling us to think back to what happened on the day of atonement - when a sacrifice was made for the sin of the people, and when blood was brought by the high priest to the place where heaven and earth touch one another. And Paul is telling us that in some small way this explains what was happening on Good Friday. And how does Paul say we are to respond? With faith in Jesus, that we might receive and enjoy the benefits of all that took place on the cross. This evening, many of our fellowship groups at HHBC are meeting in homes to share communion together. Let us pray that, as we do this (or as we remember him in other ways today), we will by faith be able to grasp anew something of the significance of Christ's sacrifice of atonement for us. We take up a collection in some of our services at HHBC - although these days many people give directly into our bank account. I have heard that in some churches they now pass round a chip-and-pin reader, but I don't think we will be going down that route! In Exodus 35 and 36, the people bring their offerings of gold, silver and bronze for the Tabernacle, but also gifts in the form of acacia wood, cloth, leather, spices and olive oil. So far we have not reached that situation with out building project, so here you go folks: www.give.net. I'm only joking (I think)! But giving to God is a serious business, and it is important that what we give (and the amount we give) comes from a willing heart. The passage is very clear that the Israelites were making these offerings of their free will, rather than being coerced. I wonder whether this generosity had anything to do with the way in which God had responded to the golden calf fiasco. They knew they had been forgiven much, and so they loved much (cf Luke 7:36-50). Questions to ponder: This week, as we consider how much Jesus has done for us - how he held nothing back - what should our response be? I'm honestly not talking about the building fund now - but is our worship this Easter going to be appropriate given what we have received? Questions to ponder: What sort of heart do you have towards God? A generous and committed heart - like the people in this chapter? A hard heart - like Pharaoh? A gentle and gracious heart like that of the Lord Jesus who made his way to the cross for your sake? The reason Jesus died on Good Friday was not simply that we could experience forgiveness of sins (although that was certainly a major part of it). God has planned something even greater for us: glory! A glory which will make everything we have ever seen look shabby by comparison. And this process of glorification has already begun in us. Remember that the dullest most uninteresting person you can talk to may one day be a creature which, if you saw it now, you would be strongly tempted to worship, or else a horror and a corruption such as you now meet, if at all, only in a nightmare. All day long we are, in some degree helping each other to one or the other of these destinations. Questions to ponder: In what way is the glory of God being increasingly displayed in your life? How can you help something else to grow more into God's glorious likeness? This chapter gives us a fascinating glimpse into Moses' relationship with God. He had his own tent outside the Israelite camp where God used to come to speak with him face to face, as one would speak to a friend (v.11). But this was not enough for Moses: it seems that he has come a long way since his first encounter with God when Moses hid his face, because he was afraid to look at God (3:6). He had recently spent 40 days in God's glorious presence on the mountain (24:15-18). And this had taught him that he wanted to experience more of God. Although Moses had already been face to face with God, and had seen his glory, he knew there was more. But there were limits to how much God could reveal of himself without Moses being overcome. At the end of this chapter we have what theologians call an anthropomorphism - God condescending to reveal himself using human imagery. Thus God says that he will place his hand over Moses, and will let Moses see God's back, but not his face (vv.19-23). Does God actually have a hand, a back and a face? Maybe not. But he is making a point to Moses. He is going to reveal as much of himself as possible, and he will also protect Moses from seeing too much. Questions to ponder: As we begin this special week, let's ask ourselves how much of God we really want to experience this Easter. Would you like to know more of God in all his glory? Have you told him that? Is there a place where you could go, or some time you could set aside this week, for that to happen? The debacle of the golden calf begins with the people getting impatient (v.1) - they can't seem to cope for very long without Moses to lead them. And although Aaron is Moses' brother, spiritually he doesn't seem to be made of the same sort of stuff. He starts by doing what the people want him to do (vv.3-5) and ends up making feeble excuses to his brother (vv.22-24). In vv.11-13 he pleads with God to spare the people. What was the basis of this request? That if Israel were wiped out, it could make God look bad. God hears and relents. In vv.31-32 he identifies himself with the people and offers to take their sin upon himself. God rejects the offer, but perhaps he was pleased with the sentiment, which is echoed by Paul in Romans 9:1-3. Pleasing people is a dead end. Go with pleasing God every time - and that way you will end up being a true blessing to other people. Don't minimise the seriousness of sin - your own sin, or other people's. Instead, take it to the Lord in prayer. And pray passionately. Be patient in worship. If God doesn't show up immediately, don't change your theology for the sake of a better experience. Wait for the Lord; be strong and take heart, and wait for the Lord (Psalm 27:14). Question to ponder: What is the main lesson you need to learn from this chapter? There is a lot in this short chapter: Firstly we see that the Holy Spirit fills Bezalel (v.3). God's Spirit is not mentioned that often in the Old Testament (and this is his first mention in Exodus), and when the Spirit fills someone in the Old Testament it is normally for a specific purpose - unlike after Pentecost when the Spirit fills all God's people permanently. So Bezalel (who was not a king or a priest but a 'mere' artisan) was singled out for very special blessing - but one which today we can all receive. The work which Bezalel does is a mini version of what God did in creation - just as the Tabernacle can be seen as a mini version of creation - and just as the kind of words used of Bezalel in v.3 are also the kind of words used in the Bible to describe God's work of creation. So perhaps it is no surprise that, just as God rested on the seventh day of creation, so God now re-emphasises the importance of resting on the seventh day. The wording in v.15 is very strong, and repeats what we have already been told in chapters 20 and 23 (and will be told again in chapter 35). So, just to be clear (Exodus says), the work Bezalel does on the Tabernacle is important - but it is not important enough to excuse breaking the Sabbath. If he did that, it would be as if he were saying he was better than God - because even God took a rest and made the Sabbath day holy. For some people, the primary temptation is to rest when they should be working. But the Bible seems to recognise that for most of us, the temptation is the other way round. Exodus keeps ramming home the point: as far as God is concerned, there are no valid excuses for working when we should be resting. Questions to ponder: What excuses do you make for working when you should be resting? How can you make sure you set aside time to be with God (rather than only doing things for God)? I'm told that some people like to lie in the bath for hours, surrounded by candles and incense sticks. I can't think of anything much worse - for me, washing is a necessity which is best done quickly and with good lighting! God specified that the Tabernacle was to contain candles, incense and washing facilities. However, these were not for the benefit of the human users - but to reinforce once again the point that God is holy and can only be approached in an atmosphere of holiness. In fact there was a ban on trying to recreate the incense for other purposes (vv.37-38). At the start of Luke's Gospel, the Angel Gabriel appeared to Zechariah the priest as he was trying to burn incense - to tell him that God had heard the prayers offered by him and his wife Elizabeth (Luke 1:13). In the book of Revelation, incense is used as a symbol of pure worship - and is particularly linked to the prayers offered by God's people (Revelation 5:8, 8:3-4). I'm not sure whether or not it is a good thing for Christians to burn incense as part of worship (it's not something that's part of our church tradition - but that doesn't mean we should dismiss it). But just thinking about incense should encourage us that our prayers - which sometimes seems as if they are going nowhere - do indeed go up to God, in the same way that the smoke from incense rises and its perfume spreads outwards. Questions to ponder: Do you feel that your prayers make any difference? How can the images and examples of prayer in the Bible encourage us? How can you encourage someone else who is struggling in their prayer life? The priests were consecrated (v.1). Consecration means to be made holy - to be set apart for God's use. It is the same word which is used to describe what God did to the seventh day of the week when he finished creating the universe (Genesis 2:3). They were ordained (v.9). Literally 'theirs hands were filled' - probably meaning that a solemn responsibility (but also a great privilege) was given to Aaron and his sons. Atonement was made for them (v.33). This is the first time this word is used like this in the Bible, and basically it means to be ransomed or purified. The Scriptures will go on to reveal that everyone (not just priests) needs to experience atonement. 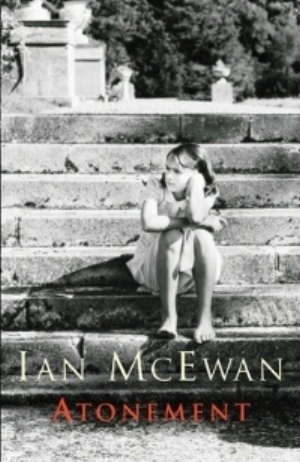 The book/film Atonement by Ian McEwan tells the story of a great wrong committed by the child Briony Tallis, and of her lifelong failure to atone for it. The Bible is in no doubt that as humans we can never atone for our own wrongs. But the good news - better news than we can ever grasp - is that God himself has atoned for them all in the person of his Son, Jesus Christ. To ponder: Are you still trying to atone for something which only God can deal with? Take some time to praise him that he has done all that is necessary, and so now you can come freely and joyfully into his holy presence. The role of a priest in any religious system is to act as a go-between - to represent humans before a divine being, and to represent the divine before humans. This can be a very stressful role. In this chapter, we discover that Aaron and his sons are to fulfil this role in Israel, and the significance of the role is emphasised by the special clothing they are to wear. Some aspects of the clothing represent God (e.g. the high quality materials used - many of them being the same as were used for the holiest parts of the Tabernacle) - and some aspects of the clothing represent the people (e.g. the precious stones with the names of the twelve tribes written on them). To refer to Jesus - the ultimate high priest, who was both fully divine and fully human, and who made the ultimate, once-and-for-all sacrifice (see Hebrews 9). Questions to ponder: How do you feel about being a priest? In what ways are you living out your priestly calling - in your home, neighbourhood and workplace? In what ways can we support each other as we fulfil this role? The next few chapters of Exodus give instructions for various things which are to go in the Tabernacle. One important purpose of the Tabernacle was to demonstrate that God was both approachable and unapproachable. It was a place where God would dwell in a special way, in the midst of his people - but it certainly wasn't the sort of place you could just come wandering into. So dominating the entrance to the Tabernacle was a large altar - its prominent position was an important reminder that sacrifices were needed before humans could approach God. By the way, our new church building will not contain an altar. An altar is a place where sacrifices are offered, and the New Testament makes it clear that Jesus offered himself as the one perfect sacrifice, to put an end to all other sacrifices. So now we can approach God with confidence (see Hebrews 10). A new way of describing the Tabernacle is used for the first time in v.21: tent of meeting. God has been making the point that he can only be approached with great care - but he also wants to reiterate that the whole purpose of having a Tabernacle is that he can be approached, subject to certain conditions. It's a place where God meets his people. By the way, if you have ever tried to use an olive oil lamp, you will know that it is an awkward and time-consuming business. Dealing with this is the first job given to Aaron and his sons (vv.20-21). Do you have a big enough awareness of the privilege it is to be able to meet with God? Is it obvious to God and to other people that you consider it a privilege? Do you know someone who is doing a time-consuming, dedication-requiring and sometimes-messy job for God? How could you encourage them in it? Not for the first time, I am wondering if I have bitten off more than I can chew with this blog series: here we face a chapter entirely about the construction of the tabernacle, and I can see that it is followed by several more chapters in a similar vein. What does all this have to say to us? In what sense is all this useful for teaching, rebuking, correcting and training in righteousness, so that the servant of God may be thoroughly equipped for every good work (2 Timothy 3:16-17)? The materials used to construct the tabernacle tell a story. The most special cloth (linen - made from plant fibres) is used for the parts which are closest to the place where God dwells. As you move outwards, cloth made from the hairs of live animals are used. Finally, there is a covering made from dead animal skins. Similarly, there is a movement outwards from gold to silver to bronze. The point is that the place in the middle is very special, and even that is divided by a thick curtain to make a very, very special place. That is where the presence of God dwells - and nobody else can go there. As people who live under the New Covenant, we have a different perspective on this. Our minds should go to the moment when Jesus (the one true priest, who could fully represent humans to God and God to humans) died on the cross. At that instant the thick curtain in the Jerusalem Temple was torn in two from top to bottom (Mark 15:38). It was as if God were saying 'now everyone can come in'. There are commands in the Old Testament we find hard to understand. Why, for example, is there a prohibition on wearing clothing made from linen and wool woven together (Deuteronomy 22:11)? Is this just common sense because wool shrinks more easily? Or is it a reminder to think about the tabernacle - and to remember that linen and wool have different places assigned to them - which in turn point to God's holiness? To be honest, I don't know! But I think we can say that God is quite interested in symbolism and imagery - and perhaps in a church like ours (where buildings are primarily designed and decorated with practical considerations in mind) we should be careful to remember that. Exodus 25 begins a long speech from God to Moses in which instructions are given for the construction and fitting out of the tabernacle (=special tent). The nature and purpose of this tent become clearer over time, but an important clue is given in v.8 when God says that he will dwell among the people. The tabernacle is a sign that God's banishment of Adam and Eve from his presence is not something which he wants to be permanent. Despite humanity's failings, God wants to draw close. Later, the Son of God would come to 'tabernacle' among us (the literal meaning of John 1:14), and one day in the future God himself will come to dwell among his people, and then there will no longer need to be any special tents or temples (Revelation 21:3, 22). Like Moses, we at HHBC are in the process of constructing a special building, based on a blue-print (v.9). In our case the blue-print is man-made, and the building will serve a very different purpose to the tabernacle, because Jesus has made the tabernacle obsolete. But one similarity, which can encourage us as we see our new building starting to take shape in Sussex Road, is that it too is made from gifts which we have willingly offered to God (vv.2-7). God accepts the gifts we bring, and by his presence he gives them new significance. In the covenant-making event recorded in Exodus 24, the people twice affirm that they will do everything God has said they should do in the previous chapters (vv.3, 7). Perhaps things would have worked out better if the people had been a bit more thoughtful about what they were promising. On the other hand, sometimes God does call us to commit to things which, if we thought about them for long, we might decide to back away from. I don't remember being nervous on the day when I first committed my life to God. It was an even more significant decision than who to marry, but I was a child and I don't think I understood much about what I was doing. I don't remember exactly what I said to God that day, but I might have said the sort of reckless things which the Israelites said in verses 3 and 7. Fortunately God has been very good to me and very patient with my failings. Nearly 40 years on, I can honestly say that I have never wanted to turn back. And I hope that, now I am older and supposedly wiser, when he says 'jump', I am still willing to jump in with both feet. How about you? How about us as a church family? What does total commitment look like for us?